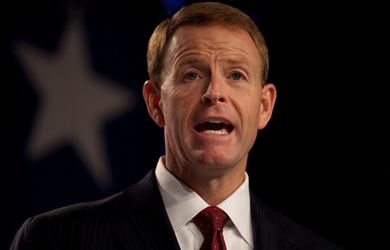 Yesterday on “Washington Watch,” Family Research Council President Tony Perkins cited President Obama’s upcoming trip to Kenya to warn that the administration is bent on pushing a “pro-abortion, pro-homosexual agenda” to the point that it isn’t lifting a finger to fight the so-called Islamic State. Perkins, who made the remarks during a heavy anti-ISIS bombing campaign led by the U.S., said that he hasn’t “heard a peep” from the administration condemning the terrorist group’s attacks on children and Christians (something that he could have easily disproved with a quick online search). “Christian children being slaughtered, being killed in Iraq, and what do we hear from our administration? Nothing, absolutely nothing, because they’re too busy pushing their own radical social policy agenda,” he said, before blaming the White House’s focus on social issues for the recent cyberattack on the Office of Personnel Management. Perkins has previously said that gay rights victories in the U.S. are helping ISIS and equated the terrorist group’s brutal persecution of Christians in Syria and Iraq with how equal rights laws are supposedly persecuting of Christians in America.